Our Servo Voltage Stabilizer... is a highly technical architecture that gives excellent fluctuation controls at just 1% of voltage variation compared with a transformer type of 10%. We have both single step and 3-step Servo Voltage stabilizers to handle low and high voltage load pickup. 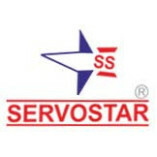 An excellent power Transformer for total household protection, Servo Star is the brand that spells faith and trust keeping short circuit at bay. Meanwhile, we are also a prominent manufacturer of Isolation Transformer & Stepdown Transformer in Delhi /NCR.